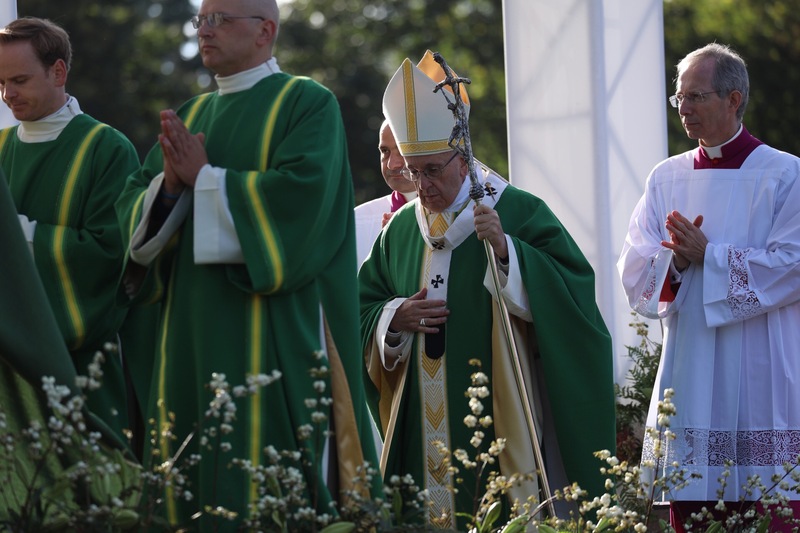 Pope Francis, speaking at an outdoor Mass in Kaunas, Lithuania, called for individuals and communities to accept painful aspects of their past and present and work actively and humbly to address them, neither avoiding those unpleasant realities nor laying the responsibility on others. Jesus repeatedly told his disciples that following him would entail trials and grief, the Pope recalled. Some people, he said “would rather discuss who was better, who acted with greater integrity in the past. […] It is a fruitless and vain attitude.” But “no one can claim not to notice, no one can argue that it is ‘somebody else’s responsibility’,” he said. Pope Francis celebrated Mass for more than 100,000 people at Santakos Park during a visit to the Baltic country of Lithuania, which declared the reestablishment of its independence in 1990 after half a century under Soviet rule.